"Most Beautiful Villages of France"
Discover the route suggested by the Visitor Information Centre of 5 “Most Beautiful Villages of France” in the Luberon: Ansouis, Lourmarin, Ménerbes, Roussillon ans Gordes. Ansouis, Lourmarin, Ménerbes, Roussillon and Gordes. The Visitor Information Centre: Luberon Côté Sud suggests you a route of the 5 “Most Beautiful Villages of France” in the Luberon! To see on the route: Ansouis, Lourmarin, Ménerbes, Roussillon and Gordes. 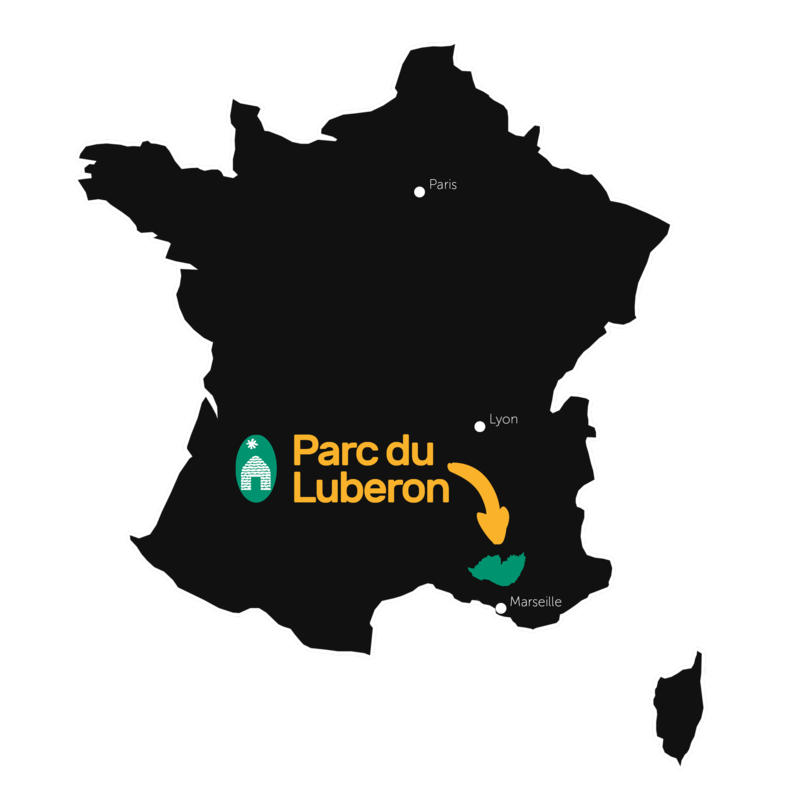 Discover and visit every spot of the Regional Natural Park of the Luberon: the Castle Road of the South Luberon, the pond of La Bonde, the valley of Lourmarin, the Provençal Colorado, the mines of Buoux as well as the Abbey of Senanque. You can do it by car, motorbike or even by bike if you're courageaous! Perched village labelled as one of "The Most Beautiful Village in France” since 1999. Let chance guide your way through alleys and cobbled streets. You will be enchanted by this Provencal décor. The richness of its heritage gives way to culture with its two museums, unexpected themes, as well as its furnished and inhabited castle! Take time to stroll to the shop of Santon, Meilleur Ouvrier de France, and discover its art. The residents here pronounce the “s” at the end of Ansouis. - The XIIIth century castle dominates the village, from the rocky peak. Sheltered from the mistral, it offers streets and picturesque places where life is enjoyable all year round. - The Art and Wine Museum in “Château Turcan”. - The Extraordinary Museum of Georges Mazoyer. “Jean de Florette” and “Manon des Sources” by Claude Berri (1986). The scenes: the sermon, the Mass of Noël, the wedding of Manon inside the church. The outdoor scenes of the church took place in Vaugines, 7km away. Located at the entrance of the valley of Lourmarin, the village is built at the foot of the Luberon. Its Renaissance castle, its numerous shops and its green surrounding make it an inevitable stop. Many artists fell in love with its place and lived here, like the writers Albert Camus and Henri Bosco. The starred Chef Reine Sammut possesses a renowned gastronomic restaurant: the Auberge la Fenière. Labelled as one of "The Most Beautiful Village in France”, Ménerbes, seen by the sky, looks like a stone ship. Among its qualities, a magnificent view over Luberon and the Mounts of Vaucluse, but also its narrow streets lined by mansions of the XVIIIth century and old residences. The village welcomed famous artists, among them the painters Nicolas de Staël, Picasso and Dora Maar, as well as the British writer Peter Mayle who contributed in the 80s to the worldwide repute of Ménerbes. People come here from now on to visit the unusual Museum of Corkscrew or to taste some Côtes du Luberon in the sumptuous “Maison de la Truffe et du Vin” (House of Truffle and Wine). The Dolmen of Pichouno, identified in 1850 by the abbot André; the Castelet, small castle built on the ruins of a former fortress; the church of XIVth century, sumptuously decorated; the belfry and its campanile; the chapel of Saint Blaise from the XVIIIth century. Also: Near the village, the Abbey of Saint Hilaire classified as Historic Monument. Labelled as one of "The Most Beautiful Village in France”, between the Luberon and Mounts of Vaucluse, built on top of a cliff of ochre, Roussillon offers to visitors a perfect harmony of color with its stones, its roofs and its façades filled with the same red tones as the surrounding landscapes. The Ochre trail; the ochre factory; the beautiful houses of the XVIIth and XVIIIth centuries, the Romanesque church of Saint Michel that possesses a beautiful façade of XVIIth, and that is adjacent to a cliff with a magnificent panorama; the belfry and its bell tower topped by a charming campanile, the vestiges of the ramparts and the ruins of the castle from the Xth century, incorporated into other constructions. Once you passed the last turns of a lovely road lined by drystone walls, Gordes appears. Perched village labelled as one of "The Most Beautiful Village of France” in the heart of Northern Luberon. Citadel-village, it is dominated by a Renaissance castle built in its center. Houses at the edge of a cliff, sloping narrow streets, staircases, little square with fountains, mansions… It emanates from this village an extraordinary mineral harmony where the stone reigns. The castle, the village of “bories” (old group of drystone huts with an agricultural role), the Cistercian Abbey of Sénanque, the Palace of Saint-Firmin and its troglodyte rooms, the mill of broths, the Festival in summer. The castle of Gordes, rebuilt in 1525, already existed in 1031. Well preserved and restored with care, it combines the architecture of the troubled time of the Middle Ages and the new art of living of Renaissance. The monumental chimney that decors the remarkable trophy room was classified as Historic Monument in 1902. The whole castle was classified in 1931.